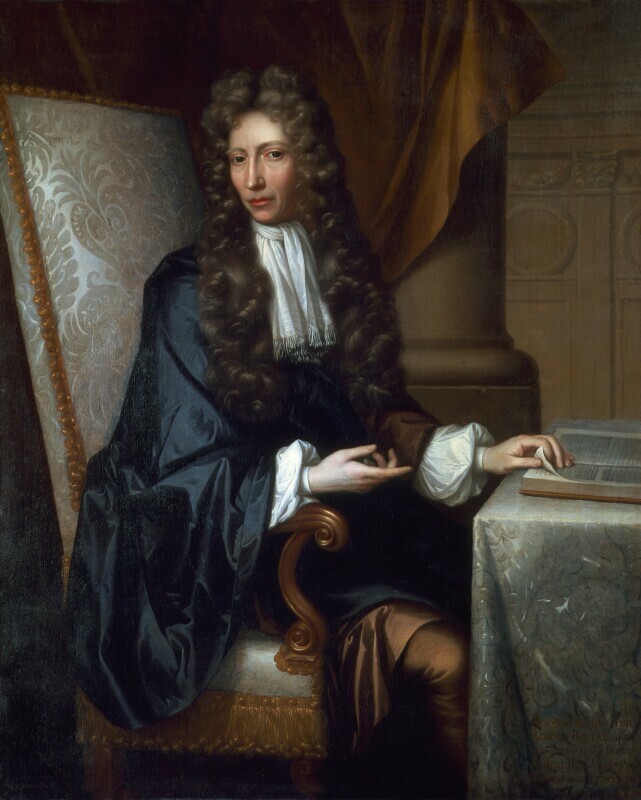 Robert Boyle (1627-1691), Chemist and natural philosopher. Sitter associated with 22 portraits. Johann Kerseboom (died 1708), Artist. Artist associated with 32 portraits. William III is crowned jointly with his wife Mary II in Westminster Abbey in an unprecedented coronation of two monarchs. The Bill of Rights is passed establishing the supremacy of Parliament, while limiting the power of the Crown. Scottish Jacobites defeat Williamite troops at the Battle of Killiiecrankie. Thomas Shadwell, appointed poet laureate and historiographer royal, replaces John Dryden, his literary adversary. John Riley and Godfrey Kneller are jointly appointed principal painter to the king. Composer Henry Purcell presents his opera, Dido and Aeneas, at Josias Priest's girls' school. Supported by Irish Catholics, deposed James II lands in Ireland with French troops commanded by Duc de Lauzun. Within months, James and Jacobite, Richard Talbot, Earl of Tyrconnel convene the 'Patriot Parliament' which re-establishes Catholics into government and repeals the Act of Settlement (1652), restoring confiscated lands to Catholic owners.